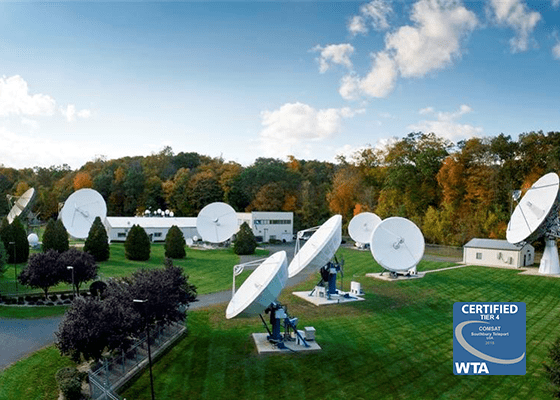 COMSAT brings over 40 years’ experience in the Satellite Earth Station and Teleport industry, is a fully licensed US Common Carrier, and operates the only two teleports in North America that have achieved Tier 4 full certification by the World Teleport Association (WTA). Located on the East and West Coasts, both teleports have operated continuously since their inception and have a strong history of handling complex networks. 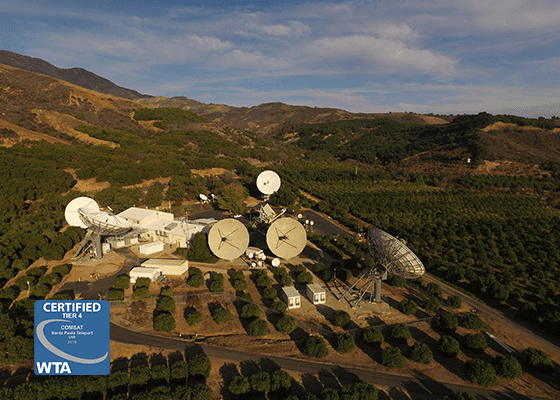 COMSAT’s teleports are secure facilities connected to multiple terrestrial fiber networks and act as backup for each other through both terrestrial and satellite transmission pathways. The data centers equipped with advanced satellite antennas and equipment backed up with automated and redundant electrical power sources, redundant HVAC systems, automatic fire detection and suppression systems, security systems, and 24x7x365 network operations centers.